Busy day. I’m exhausted. Just got home and should be in bed in 30 minutes. 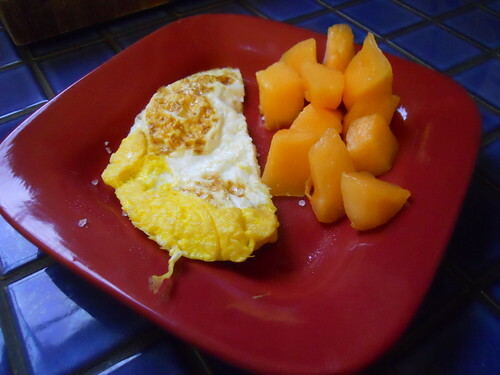 Breakfast this morning was eggs + cantaloupe. I added the cantaloupe because I needed a quick boost that might enable me to take a freakin’ shower after I got home from CrossFit. I woke up feeling hungry around midnight last night (something that never happens to me), woke up STARVING at 5:15, went to CrossFit starving and came home feeling like I might not be able to make it out of the car. 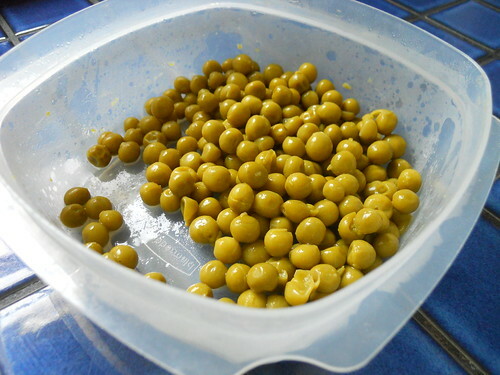 I should eat something prior to going each day – especially if I feel extremely hungry – but I just can’t. Either I eat and puke or I do the workout on a completely empty stomach and feel drained. I choose drained, obv. Unfortunately, this just highlights the torture ever so nicely. I need to figure out what to do about this. 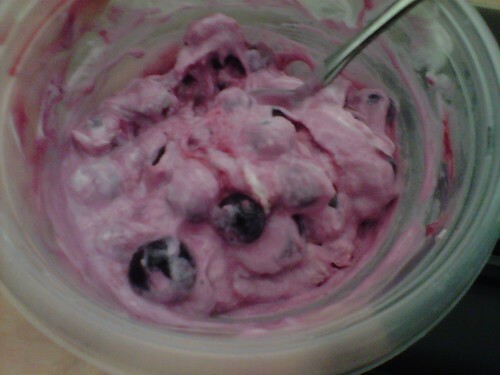 I took yogurt + blueberries to work with me and ate that around 10. I quickly came home around lunchtime and packed some stuff to take back to eat at work. 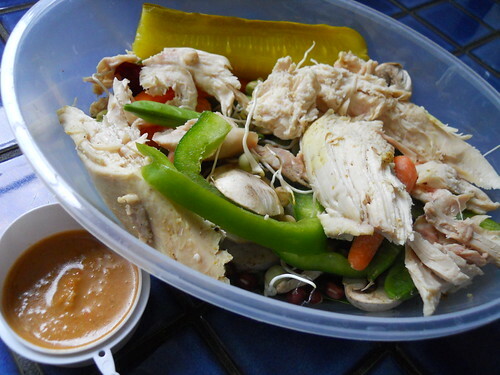 Very quick salad with leftover chicken, a pickle, and leftover peas. 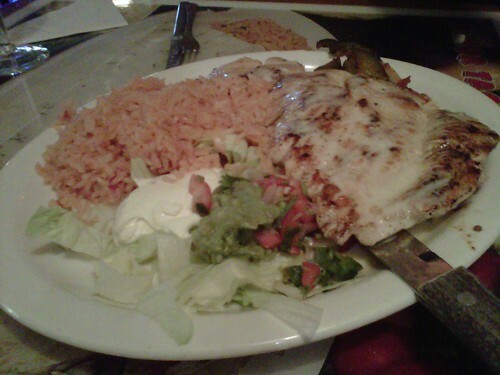 We had errands to run tonight, so we ate at our favorite Mexican place. I don’t know a good word because I don’t like “cheat” … but this is #1 of 2 compromises for the week. We split chicken + rice. Hopefully tomorrow will be less hectic.